Update: Google Analytics now supports a simpler way of understanding user journeys using automatic links decoration. See the announcement blog post here. With users getting more and more impatient with slow mobile pages, developers are increasingly investing in a faster web experience with solutions like Accelerated Mobile Pages (AMP). Billions of AMP pages have been published by all kinds of mobile sites – from news to recipes to e-commerce. 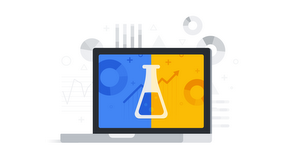 With so much AMP content being published every week, Google Analytics continues to evolve to support those of our customers who have adopted AMP. Today we are excited to be the first supporting vendor to announce a new service, Google’s AMP Client ID API, that will enable the same benefits for AMP pages displayed via Google surfaces. In May of this year we launched a solution to help you better understand your customers’ journeys across AMP and non-AMP experiences that were hosted on your own domain. Google’s AMP Client ID API will enable the same benefits for AMP pages displayed by Google such as in Google Search. This solution works by allowing your web pages, which may be partially served on Google platforms and partially on your domain, to communicate with each other. This communication happens via a newly introduced Google API and with Google Analytics such that it can understand if a user on your non-AMP pages had ever visited an AMP page displayed by Google. When true, Google Analytics can help you understand user behavior across these two page types as a single cohesive experience. To get started you’ll have to opt-in to this solution via a code change. The small code change is required on both your AMP and non-AMP websites to enable this as well as an acknowledgement of the new Google Analytics terms for usage of this API. The ability to opt-in to this solution is available today and you can find code instructions and new terms here. Please review the documentation and opt-in when you are ready. Are there any other implications of this change? Once you opt-in to this solution you will notice changes to some of your metrics. Your user and session metrics will drop down to more accurate counts as formerly distinct users are recognised as the same person, as well as related metrics that will also become more accurate (such as Time on Site and Bounce Rate). And New Users may rise temporarily. This is a function of the product more accurately counting your users. It's a one-time effect that will continue until all your users who have viewed AMP pages in the past return to your site (this can take a short or long period of time depending on how quickly your users return to your site/app). To get more detail about what may change, please read our help center article. Opt into this new feature today to get deeper insight into how users are interacting with your AMP pages.